The last month has been incredibly busy for those of us involved in the grassland experiments. In the Frome catchment we cut all the above ground vegetation in a strip 50cm long and 10cm wide on each of the thirty plots. 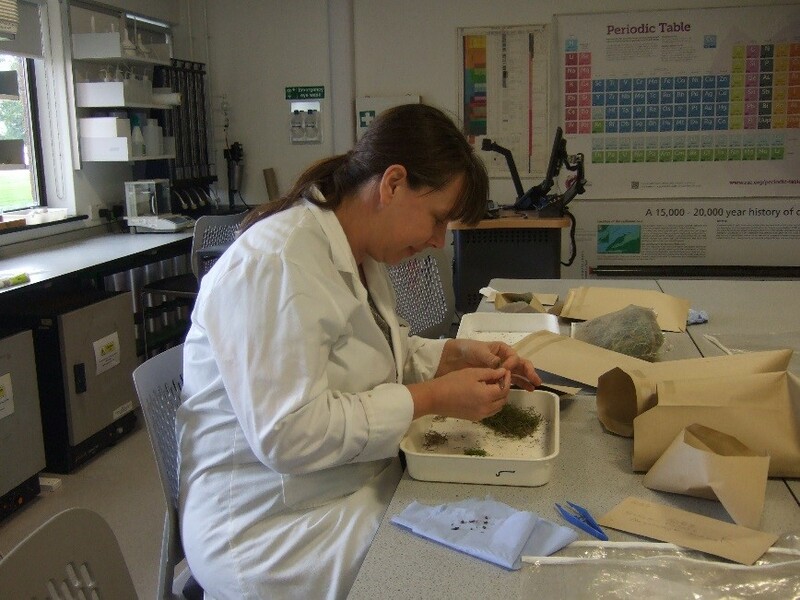 Each sample was divided into grasses, broadleaved plants, ferns and horsetails, liverworts and mosses, dead material and woody material, before being dried and weighed. The weights will allow us to see how different types of plant contribute to the weight of plant material produced, and to see how our drought treatment has affected the total amount of plant material produced during the year (equivalent to the yield of hay). It is important that we look after our experimental area in the same way that the landowners are managing the surrounding field. This means that we can be confident that we are recording the effects of drought not of a change in land management. In the Frome catchment we cut the plots and remove the clippings to mimic a late hay or silage cut. This has to be done by hand with shears; with 30 plots 3m x 3m a very strenuous job. At one site we were sweltering in the mid October sunshine but at the other we spent the whole day in our waterproofs; despite this everyone was still smiling at the end of the day. 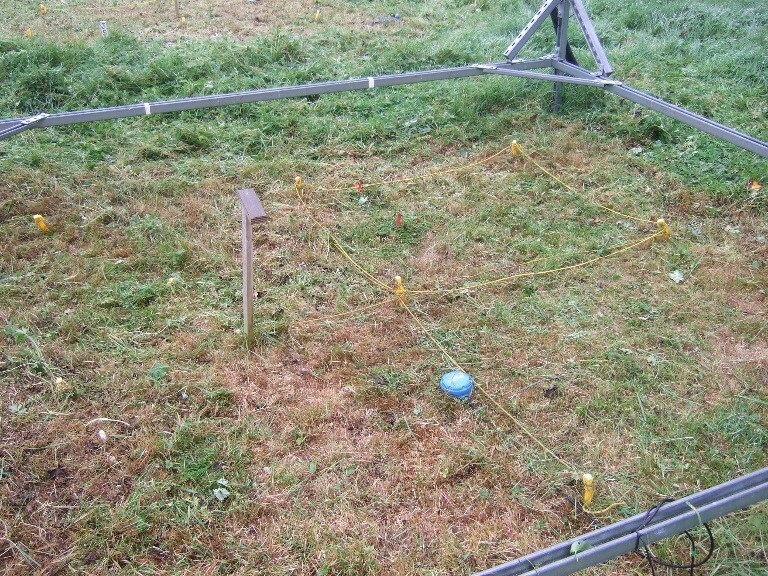 Plot after cutting, the red markers show where the vegetation was sampled, the blue circle is an instrument that measures soil moisture content, the yellow strings divide the plot into areas used for different measurements. Many thanks to the students from Gloucester University and University of the West of England who helped us to cut the plots and to Sarah, one of our volunteers who spent six days helping us to sort the vegetation samples. Volunteers have been helping to record vegetation heights, dates of flowering and pollinator visits throughout the year; thanks to their efforts we hope to have some preliminary results soon. We will be making measurements throughout the winter, so please come and join us.